New Hygiene Grad? What to Look for in Your First Hygiene Job! Many new hygiene graduates are so eager to begin working after graduation, they run the risk of taking the first job opportunity that comes along. It is understandable to want to begin earning a paycheck and gaining experience as soon as that license is in your hand! First impressions of the real world of practicing hygiene can set the tone for your entire career. A positive or negative early experience can alter the way you look at the career of Dental Hygiene long into the future. The impact on your future career choices, expectations, and working habits starts early. Read on to learn these ten tips for what to look for when selecting your first hygiene position. Training– Ensure the group or practice provides adequate training and sets aside plenty of time for it. At minimum, you should be trained in clinical protocol, practice software, and OSHA compliance. Clinical Protocols– The practice should have written clinical protocol based on the latest evidence. They should be treating periodontal disease and be prevention focused. 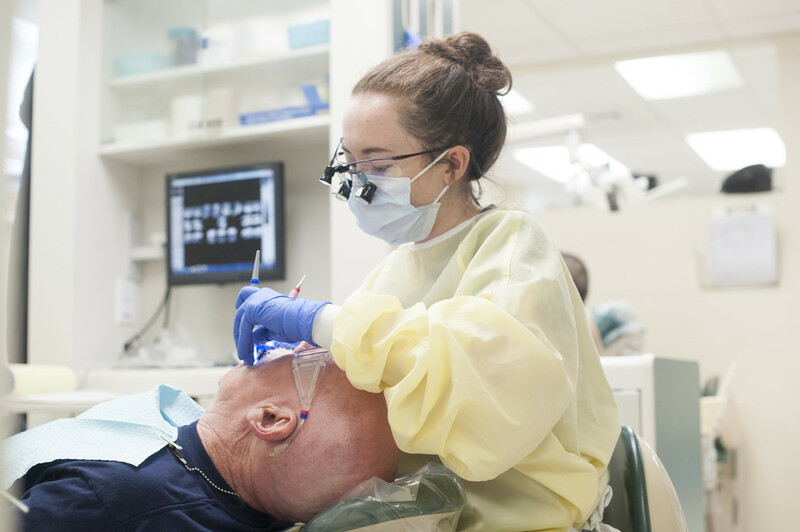 Lack of protocols makes for provider disagreements on treatment, hygienist frustration, and will ultimately affect the patients. Clear Office Policies and Lines of Reporting– Ensure all practice polices are written down and that you have a clear, written job description. Who you report to, and for what, should be clear, with no ambiguity. Working Hours– Ensure your working hours are clear, and that you will not be asked to clock out or leave for the day on a regular basis if you do not have patients. The practice should have a strong recall system and enough support to ensure full schedules. If you cannot work extended hours, ensure they know that ahead of time to avoid conflict later. Performance Evaluation– Ask how your performance will be evaluated. Will you have annual reviews? What is the criteria for strong performance? Will you have financial production goals to meet, and if so, what are they? How will you be supported in reaching those goals? On-Going Mentoring– Is there someone in the practice or group who can support your development and is helping you grow professionally? Is this person/s invested in your success, or are you on your own? Appointment Lengths– This is a big one. How long will you have for appointments? If you are expected to see most patients in 45-50 minutes, (without a dedicated assistant) that is not enough time to develop patient relationships, provide adequate care, and not burn out. You should have a minimum of one hour per patient. Clarity on Competencies– Be honest with new employers on your current skill set. Most practices will understand that new graduates will not be experts on all the therapies and techniques they may need you to do. If you struggle with whitening, sealants, Vel-Scope, lasers, etc…let them know up front that you will need additional training and practice. Steer Clear of Drama– If you get the feeling there is negativity, gossip, intimidation, and resentments in the practice, do not take the job. These situations rarely work out. Enjoy the Folks– This one seems obvious, but when you consider you will spend the majority of your time at work, be sure you like, or at least respect, your team members. If you don’t, you won’t stay. If you do, you may have found your perfect fit! Andrea Kowalczyk is an experienced Dental Hygienist and is now a Lead Talent Acquisition Partner with American Dental Partners Inc. If you’re looking to join a practice that meets these standards and more – visit our careers page to find your perfect fit!